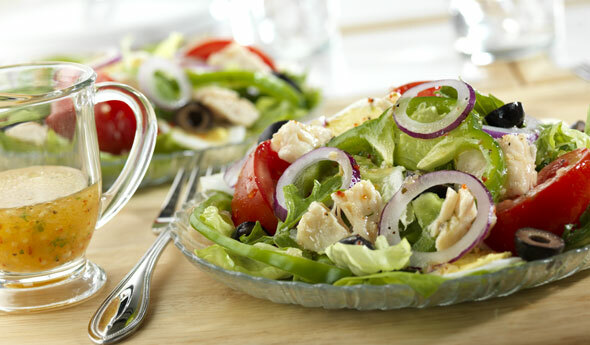 Arrange the salad greens, chicken, egg, pepper, tomato and olives on 2 plates. Spoon the dressing over the top. Garnish with sliced red onion, if desired. Easy Substitution: Or for a change of flavor, use ranch salad dressing. Perfect for these hot days. I used green olives and lite ranch dressing.